This was a perfect project - J.S. Ondara contacted me with with a great initial idea, then let me run with everything creatively from there. 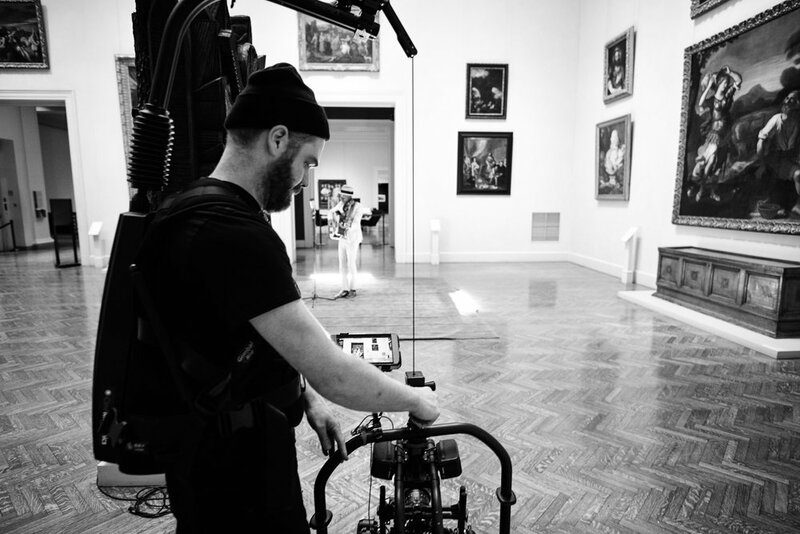 He wanted to record and film a solo performance of a new song inside a gallery of the Minneapolis Institute of Art. 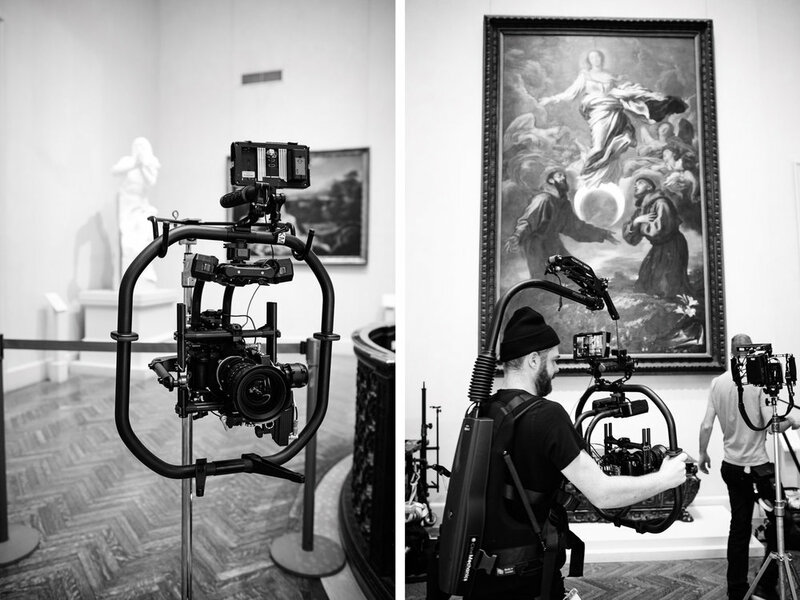 The idea for the video came from Jay playing a Third Thursday event at the Minneapolis Institute of Art (MIA), and was inspired by the long constantly moving camera work in my video of Lucius in the Minnesota State Capitol rotunda for The Current (link). With the suggestion of the location and a general idea of a series of long moving shots, I set to work to plan the production on a quick timeline just after the New Year. A huge thanks to Kim Huskinson at MIA for her interest in this project, and approving us to film in one of the most iconic rooms of the museum. The project was fairly complex, with a constantly moving camera, limited budget, and the added detail that the museum would be open while we were filming. We needed a small, skilled crew to keep the shoot footprint to a minimum. Chris Savage joined the project to operate the camera and brought in Keith Moechnig to AC, pulling focus remotely while we were filming. I also collaborated with audio engineer, Nick Leisenheimer, to select a mic that would compliment and add to the visual of the project. We didn't need to hide the microphone, as I wanted to highlight that this was a live audio recording in the space. Nick’s audio mix of the ribbon mic in close, with a stereo mic in the room really captured the lovely long natural reverb of the gallery space. It only took two takes to capture a performance that Jay was happy with musically, then we did a few more takes, closeup and extremely wide angle to combine in the edit. The space and his performance were so beautiful in their simplicity, I didn't want to add anything else to the edit. Thanks to: Kim Huskinson and Anthonia Eboreime at MIA. The video premiered on Brooklyn Vegan. 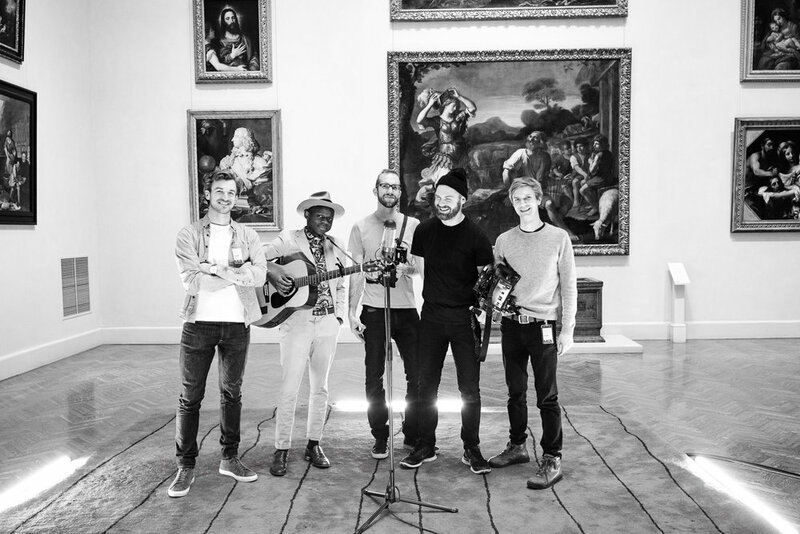 Read more about how JS Ondara fell in love with the MIA and wanted to film in the space on MIA's website. Thanks to the Star Tribune for sharing the video too.